Listen. Like. Share. 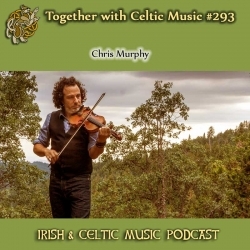 Then download 34 Celtic MP3s for Free! Subscribe to the Celtic Music Magazine. This is our free newsletter and your guide to the latest Celtic music and podcast news. Remember to support the artists who support this podcast: buy their CDs, download their MP3s, see their shows, and drop them an email to let them know you heard them on the Irish and Celtic Music Podcast. On March 21st The Rogues will be performing at Mount St. Mary's University in Emmitsburg, MD. WICKED TINKERS will be performing at Phoenix Scottish Games in Phoenix, AZ on March 4th. Kilted Kings CD Release is next Thursday, February 2, 2017. Pre-order Name On My Soul on iTunes or Amazon. Details on our website. * I want to send out a big thanks to the patrons of the podcast. Your generous pledge of as little as $1 per episode pays for the production of this podcast as well as my time in producing the show. You will enjoy a personal podcast feed where you can listen to the show before regular subscribers, occasional extended editions of the show, and my deepest thanks. When we hit a milestone, you get a 2-hour special. We are just $1 away from the next 2-hours special. Thanks to our newest patrons: Tim Hughes, and our new Celtic Superstar Kevin Long. Thank you all for your generosity! Become a patron today! Thom Danger Speck of Screeched Inn posted a photo on Facebook: "I'm at home working on some new music and listening to Marc Gunn's Irish & Celtic Music Podcast when what should arrive at my door... Thanks for the sticker Marc. I will put it in my guitar case with pride. ;)"
Indeed the Top of Admiration posted on iTunes: "I love this podcast for the wide variety of Celtic musicians it features in every episode. No two episodes sound quite alike, and I love that it constantly exposes me to new artists. This podcast has become my go-to music to have on while I write." Hank Woodward emailed: "Hi Marc, I'm eagerly anticipating hearing the "Scottish Music" podcast on my lunchtime walk today! 2016 was an eventful year with many ups and downs for me (unplanned job change, my mother's passing, etc. ), but I could always count on hearing wonderful music on the Irish & Celtic Music Podcast. My best wishes to you and your family and many thanks again for all you do in bringing the greatest gift of Celtic music to all of us. Slainte'"